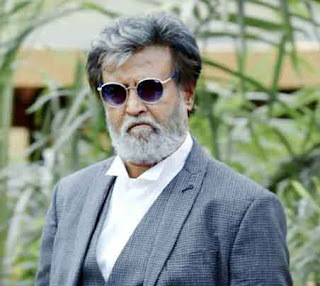 For watching Rajinikanth's most awaited film, "Kabali", the offices have given holiday for the first day release. In South India, employees have been given a day off on Friday so that they can attend a new film screening of Tamil superstar Rajinikanth. Why they have been given a day's holiday to avoid people calling in sick, turning off their phones or simply failing to turn up for work. Kabali, the Rajinikanth's latest movie, is released in 12,000 screens. He is one of the Asia's highest paid actors. Even before the release of Kabali, a gangster drama, has generated in some $30m (£20m) in film rights sales. Kabali is dubbed and is available in Telugu, Hindi and Malay languages. You can see the craze and excitement of the fans in southern India. Some companies have decided to give their employees a holiday on Friday and even some of them offered free tickets for the film Kabali in Chennai and Bangalore. One of the companies said it had declared a holiday to "avoid bulk leave requests to the HR department". A Bangalore-based company said to "avoid sick leaves, mobile switch offs and mass bunks", they have decided to shut the company for a day. Air Asia has is running special Kabali flight from Bangalore to Chennai, featuring Rajinikanth's favourite food. 180 Rajinikanth fans are going along in the special Kabali flight to watch his film on the day of its release. One man said he will watch 10 screenings back-to-back on Friday and Saturday and said that he consider the 65-year-old star as his father, mother, and God. A woman Rajinikanth fan has designed a sari with Rajinikanth's face on it. Some of the luxury hotels in Bangalore are organising special shows with each ticket going for 1,300 rupees ($19; £14). As Kabali is a film which shows about the "labour class", one of the Rajinikanth's fan club decided to distribute helmets, welding glasses and gloves to workers. Rajinikanth's superstardom is because of the fact he is loved and respected by his fans worldwide. He has starred in more than 170 films, most of them in Tamil language in a career spanning four decades. Rajinikanth Kabali Joke 1. Rajni Power! Today will be the preview shows for Kabali. After which Rajinikanth will give ratings to all film critics. Rajinikanth Kabali Joke 2. Warning! If you illegally download Rajinikanth's movie, a virus will come out and slap you and take you to the nearest theater to watch his movie. Rajinikanth Kabali Joke 3. Stunts not to be tried at home. Tried downloading Kabali. µTorrent uninstalled itself. System got formated. Wi-Fi router crashed. Nearby Airtel tower vanished. Rajinikanth Kabali Joke 5. Trendsetter Rajni. Rajinikanth Kabali Joke 6. Please don't. Say NO to piracy. Please don't download the Internet from Kabali. Rajinikanth Kabali Joke 7. Yenna Rascala mind it! Yesterday: Kabali illegal downloads available. Today: KickassTorrents officially shuts down, founder arrested in Poland. Rajinikanth Kabali Joke 8. In your face Khans.